View of Valley Creek and stone bridge located in Valley Forge, Pa. 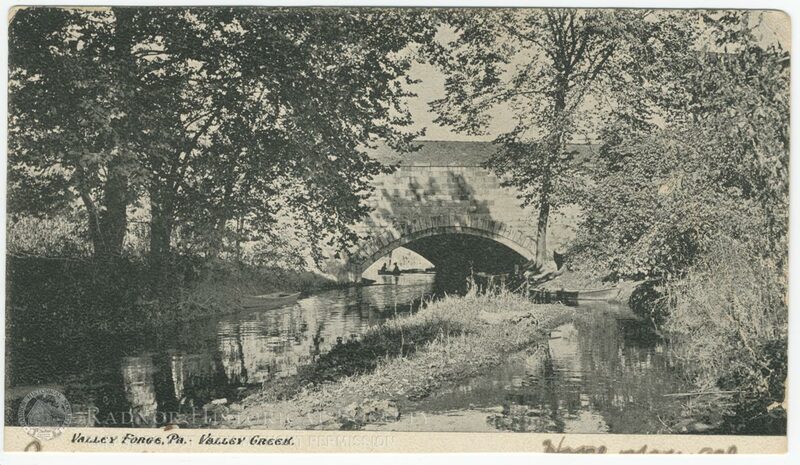 Printed on the front, below the image: "Valley Forge, Pa. -- Valley Creek." Postcard stamp on the back and also a short note written on the back.